Continuing on our journey of imaginary creatures in bento… today I have the unicorn. This healthy lunch features a rice unicorn made with a cookie cutter. Make sure you come back this week to see what the last two creatures will be. 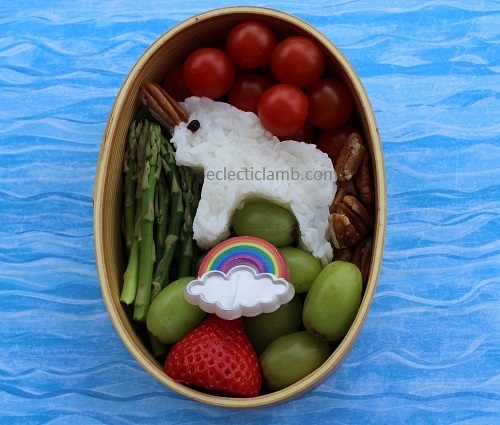 This entry was posted in Bento / Cute Food and tagged Cookie Cutter, imaginary, shaped rice, wooden box. Bookmark the permalink.